Talia has performed in her own work as well as in the work of: Katie Ailes, Belle Alvarez, Nicole Bindler, Rachel Boggia, Sean Dorsey, Kira Gavin, Alexis Iammarino, Travis Jones, Shreshth Khilani, Lily Kind, Sarah Marks Mininsohn, Erica Rice, Tiffany Rhynard, and Mira Treatman. She is interested in performance opportunities of all kind, whether they be in dance, dance-theater, or more. 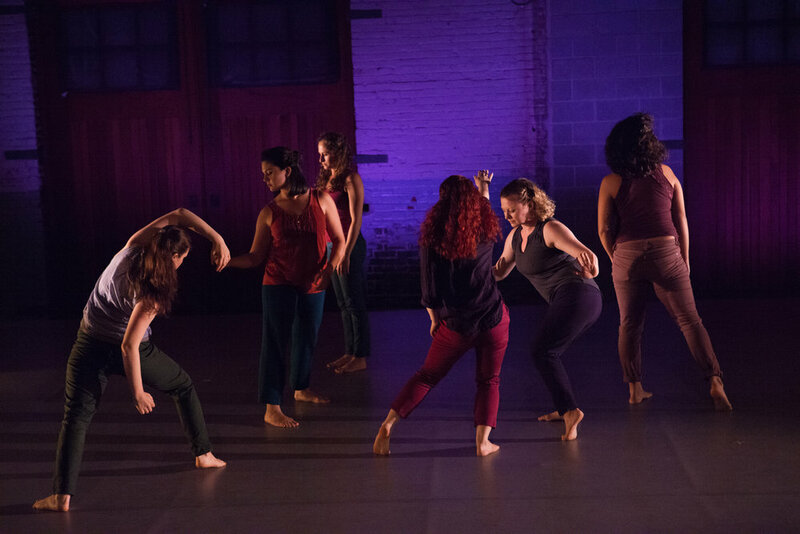 Talia is passionate about modern dance, video dance, site-specific dance, and dances that happen in non-traditional spaces. “Blood Sea” created by Nicole Bindler. Photos by Kate Raines. “Table on Table on Table” created by Shreshth Khilani and Sarah Marks Mininsohn. Photos Courtesy of Sarah Marks Mininsohn. “Passport” created by Belle Alvarez. Photos courtesy of Birds on a Wire Dance Theater. "Static Sweet" created by Lily Kind for the Headlong Performance Institute Final Show, 2015. 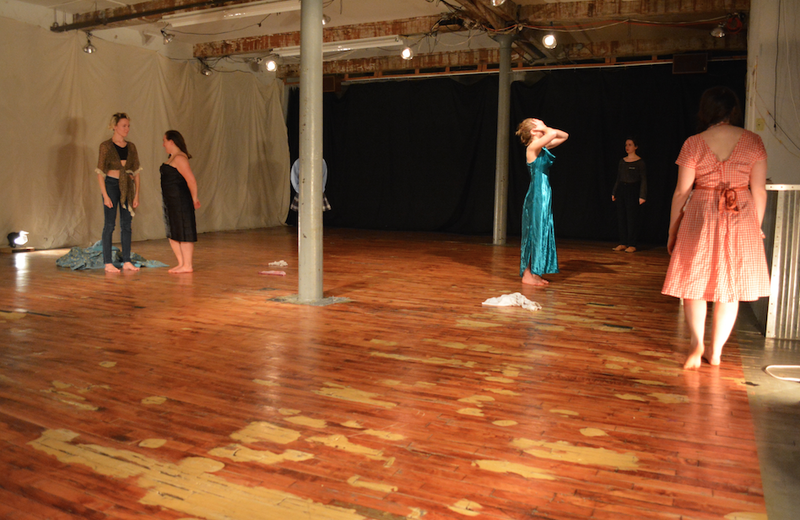 "a well a everybody's heard about the bird" created by Talia Mason, Mira Treatman and Irina Varina, Headlong Performance Institute Final Show 2015. "Where Do My Hands Go? 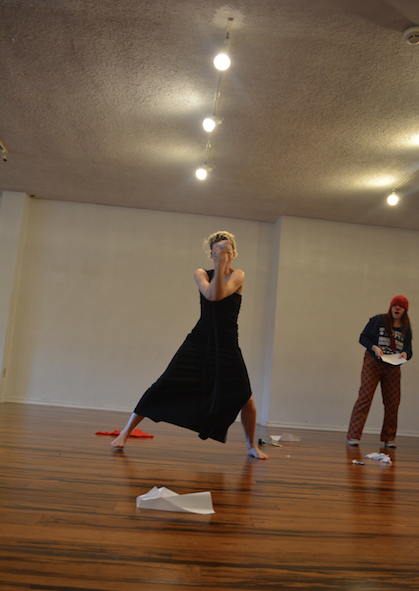 And Other Sweet Nothings" created by Erica Rice, Headlong Performance Institute Final Show, 2015. "Ballerina Uprising," created by Mira Treatman, Headlong Performance Institute Final Show 2015. 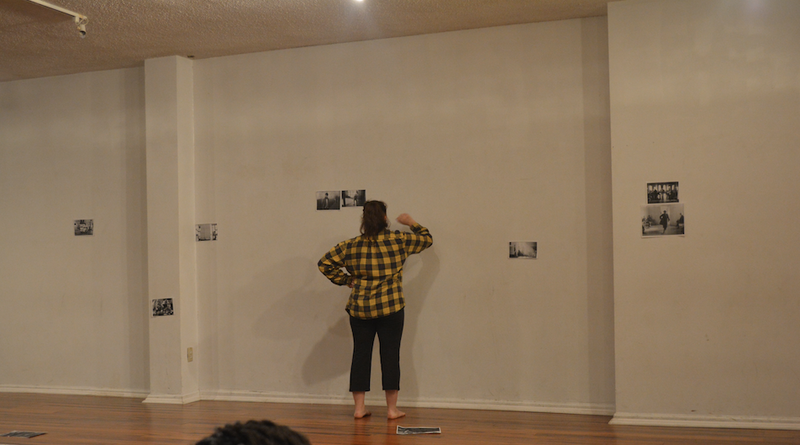 "You Are Watching Me (Ruin It)" created by Julia Brandeberger, Headlong Performance Institute Final Show, 2015. "a well a everybody's heard about the bird" solo. Headlong Studios, 2015. 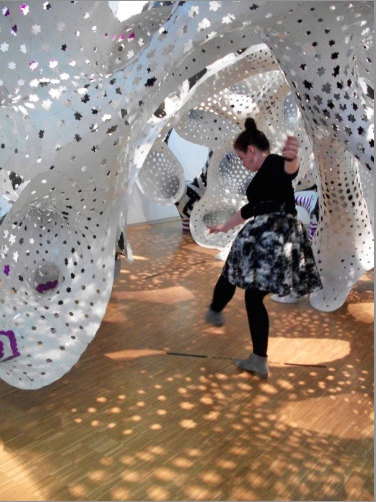 Improvisational Forms, Headlong Performance Institute, 2015. 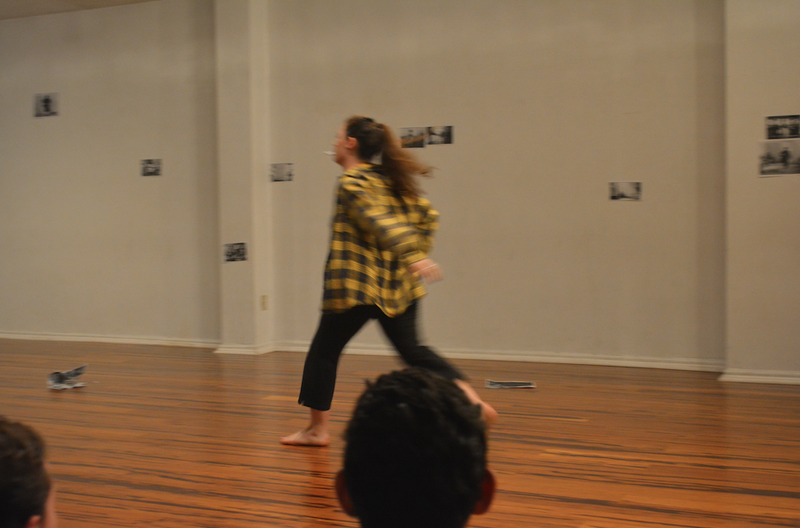 Clown studio showing, Headlong Performance Institute, 2015. 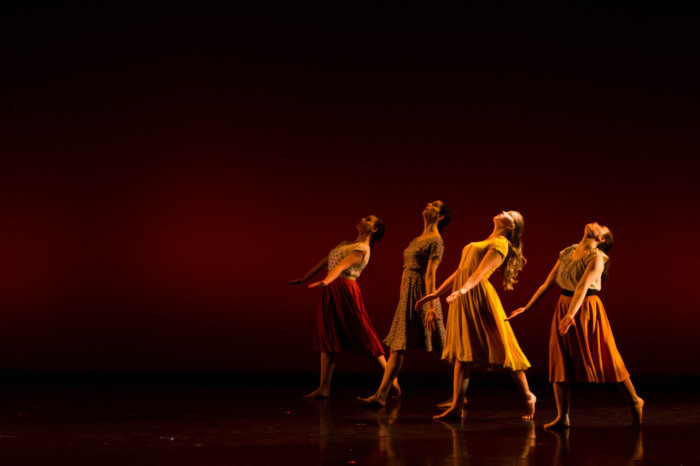 "The Secret History of Love" choreographed by Sean Dorsey, Bates College, 2014. 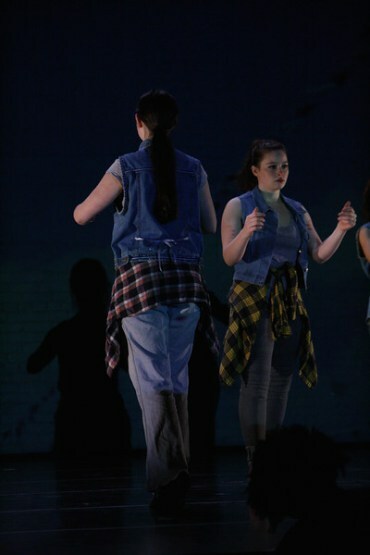 "Homing" choreographed by Katie Ailes, Bates College 2014. Photo courtesy of Ebbe Sweet. 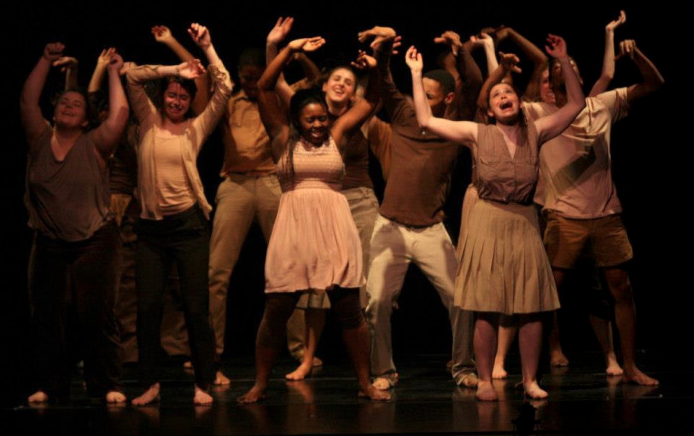 "We Build Excitement" choreographed by Rachel Boggia and dancers, Bates College, 2014. Photos courtesy of Phyllis Graber Jensen/Bates College. 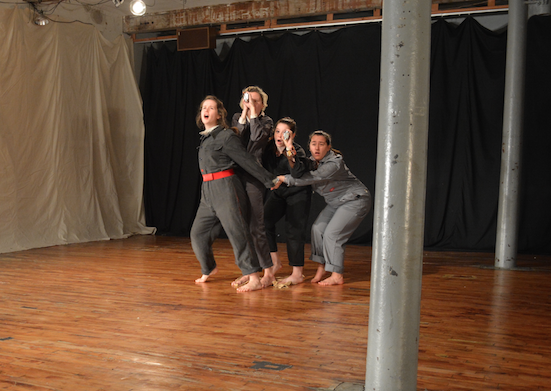 "Subverting Normal #2" choreographed by Tiffany Rhynard and students, Bates College, 2012. Institute of Contemporary Art site-specific exploration, Boston, 2014. Fontainebleau site-specific explorations, France, 2013. Centre Pompidou site-specific exploration, Paris, France, 2013. Bates Night In Town Site-Specific Performance of "Driving to the Midwest," Lewiston, ME, 2014. Video dance workshop with Alexis Iammarino and Scott Sell, Bates College, 2014. Whitney Museum of Art site-specific dancing, NYC, 2016. Performing at Bates College's Commencement Baccalaureate performance.